Anyone charged with a Los Angeles DUI can expect a fairly speed resolution to their case, whether that means paying a fine, spending some time in jail or having an ignition interlock system installed on their car. But it took 20 years for justice to catch up with Jason William Gale. According to the INFORUM website, on March 13, 1995, a police officer in Grand Forks, North Dakota, saw Gale swerving his vehicle into a bicycle path. The cop pulled him over, but Gale didn’t do well on the field sobriety test. The cop arrested him for DUI. Gale hired a lawyer, Henry Howe, to defend himself against that charge. Gale trusted Howe to guide him through the court process and even signed a power of attorney so that Howe could represent him during preliminary court proceedings. Howe told Gale he had handled everything, but the lawyer actually never showed up in court. Gale moved soon after the DUI incident and subsequently lived in Colorado, Fargo, North Dakota, Florida and Minnesota. Along the way he held multiple jobs, got involved in a few civil court cases and had at least five background checks. But it took a recent employment background check to uncover the fact that the Grand Forks court had issued a warrant for his arrest back in 1995 after he failed to show up in court. 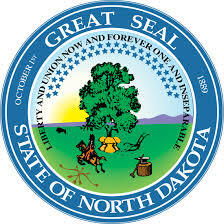 North Dakota must have some tough prosecutors. Gale tried to set things right, and his new attorney thought the court would dismiss the charges. But the prosecutor tried the case, calling up the arresting officer from 20 years ago to testify. Gale ended up paying a $500 fine, but at least he didn’t get sent to jail and there are no more outstanding arrests warrants against him.